Before you decide to file for divorce, it is important to know your rights and legal options. This way, you are in the best position possible to make decisions, understand potential outcomes, and take part in the negotiation or litigation process. 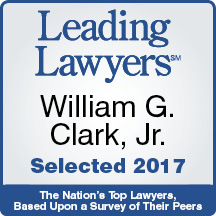 William G. Clark Jr. & Associates, LTD. located in downtown Chicago, we believe that a knowledgeable client is the best kind of client. This is because an informed client can take an active part in helping shape the structure and outcome of the case. Serving families throughout the Chicagoland area, our divorce attorneys encourages client involvement and we believe that educating a client is part of our job. If you are seeking a divorce and want to learn more about our services, we encourage you to contact us today. We will explain how we prepare dissolution papers and will go over every detail of the petition for dissolution that we draft for you. Once we serve the other side with our notice of dissolution and these supporting papers, the opposing side has 28 days to respond to this summons. Once they file an appearance and an answer, the discovery process will begin, which includes both sides disclosing financial and other relevant documents to one another. There are also options to resolve the case without serving your spouse. If there are minor children involved, we will attempt to mediate all issues related to their future well-being. If all of the issues regarding the children and all other matters are settled through a mediation agreement or other negotiation method, we can then appear before a judge at a ‘prove-up’ hearing, which normally lasts 15 minutes. During this court appearance, each side will answer a series of yes or no questions regarding the agreement. The judge will then issue a judgment and final divorce decree. There are separate procedures for qualified domestic relation orders regarding retirement. If no agreement can be reached through this process, then the case must be tried within 18 months of the parties filing for divorce if they have children. A pre-trial meeting with the judge assigned to the case will take place and, if the parties still cannot come to an agreement, a trial date will be set. To arrange a consultation with William G. Clark, Jr. & Assoc., call or email us and we will provide divorce advice and legal representation to family law clients in the Chicagoland area. Call us now at 312-329-0830.